Established in 1892, the John Ritzenthaler company (Ritz) has long been synonymous with the finest quality in home textiles. Today, the John Ritzenthaler company is a privately owned manufacturer, wholesaler and distributor of a complete line of high quality, color coordinated, fashion basic and designer bath and kitchen textiles, as well as, specialty laundry and cleaning aids. As a leader in the home textiles category we are experienced in working on Ritz initiated design concepts, licensed designs and also with interpreting customer requests into new products. Our marketing and design teams work closely together to identify product opportunities within the marketplace to help create the right product mix for our customers. The Dogs Unleashed brand was introduced by RITZ in 2010 and takes our expertise in the kitchen textile category and applies it to the Pet category. 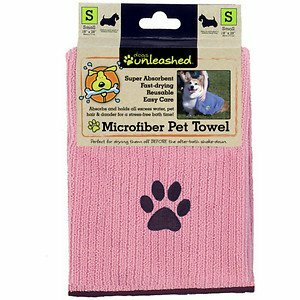 Dogs Unleashed is a collection of pet care products consisting of items made from both Microfiber and Viscose materials, which are both known for their durability and absorbency. Items consist of grooming towels, placemats, travel bowls and Kennel and crate mats. Items are available in a broad color pallet.